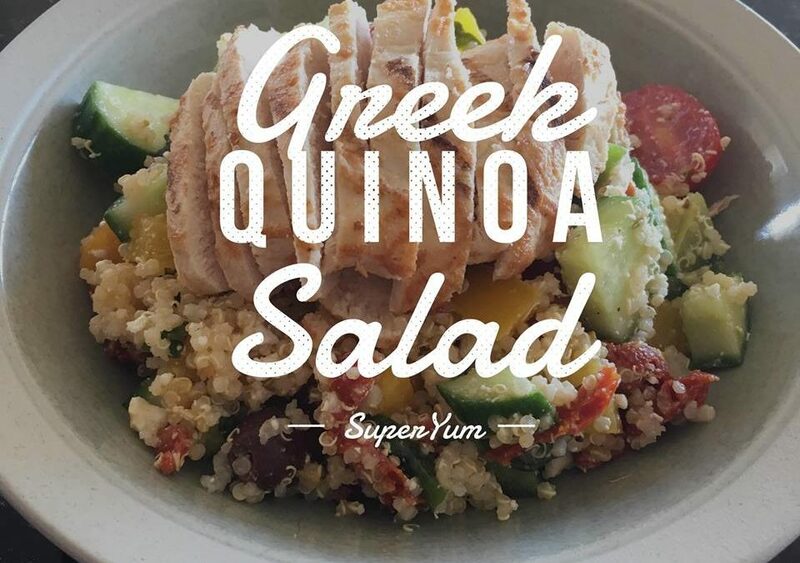 This simple quinoa salad came together in a flash (which was great because while I knew I wanted to create it, I forgot to do it until the last minute (you know, when people are whining about being hungry). QUICK QUINOA COOKING TIP: Want my hack for cooking Quinoa on the go? Put water & quinoa in a pot. Bring to a boil. Turn the element OFF (move pot if it’s not a gas element) and LEAVE IT. I literally put the WHOLE pot in the fridge right before we left for swimming, then only pulled it out right before I made the salad, fluffed it up with a fork and added it to the salad.